Earlier this year, the HHS’ Office for Civil Right (OCR) released guidance for healthcare organizations on patients’ HIPAA rights in an attempt to clear up confusion over access and ensure that covered entities were aware of their obligations under the HIPAA Privacy Rule. The guidance covered many of the questions commonly asked by healthcare organizations, including the models that can be adopted by healthcare organizations for charging for PHI copies. Now that covered entities are prepared, efforts have shifted to advising patients of their access rights under HIPAA. 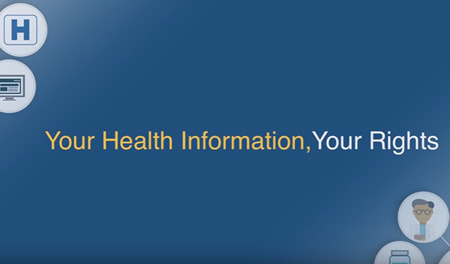 This week, the Office of the National Coordinator for Health Information Technology (ONC) -in conjunction with the OCR – released a series of educational videos to improve understanding of patients’ HIPAA rights. The ONC wants to improve patient engagement and get patients to take greater interest in their health. Encouraging patients to obtain copies of their ePHI can help in this regard. Having access to medical records allows patients to check for errors, provide their data to other healthcare providers or research institutions, and use the information in third party applications. The videos explain patients HIPAA rights to access their health data, the fees that can be charged for providing ePHI copies, the timescale healthcare providers are allowed for providing copies, and HIPAA access and third parties. Alongside the videos, the ONC also released a useful infographic to explain the basics of patients’ HIPAA rights. The ONC has also created a new resource for healthcare organizations explaining the importance of providing patients with access to their health records and why this should be encouraged. The new resource – called The Patient Engagement Playbook – was launched on the final day of ONC Annual Meeting in Washington, and is intended to be an evolving resource for all healthcare professionals covering best practices to adopt and tips to leverage health IT and set up EHR patient portals. The playbook contains useful information to help healthcare organizations improve portal adoption, meet patients’ needs online and ease the burden on office staff, and Integrate patient-generated health data with a view to improving clinical decision making and the provision of care. There are many benefits to be gained from implementing EHR patient portals, although to get the full advantages it is essential that EHR patient portals are well thought out and are carefully configured. The playbook should help in this regard.